c.1887-1907: Gurdjieff traveled through the Middle East and Central Asia in pursuit of esoteric knowledge. 1913: Gurdjieff arrived in Moscow with the groundwork of his teaching formulated and attracted followers. 1922-1932: Gurdjieff’s Institute for the Harmonious Development of Man assumed its final form at the Chateau du Prieur é d’Avon at Fontainebleau. 1950: Foundation groups were established in Paris and London. 1953: The New York Foundation Group was established. 1953: Leon MacLaren incorporated Gurdjieffian teachings into his School of Economic Science, a Gurdjieff ‘fringe’ group. 1970: Robert Burton founded the Fellowship of Friends in California, a Gurdjieff “fringe” group. 1971: Bennett formed his International Academy for Continuous Education in Sherborne, Gloucestershire, an “Independent” group. 1972: Raymond John Schertenleib formed The Emin, a Gurdjieff “fringe” group, in London. 1973: Paul Henry Beidler formed The Search at Northeon Forest, a Gurdjieff “fringe” group in Pennsylvania. 1974: J.G. Bennett purchased Claymont Court, a mansion in West Virginia, which he intended to be the focus of a model society, the Claymont Society for Continuous Education. George Ivanovitch Gurdjeff (c.1866-1949) [See image at right] was an Armenian-Greek spiritual teacher, known for his charisma, unpredictability, and idiosyncratic teachings and methods. His teachings in their entirety are often designated “the Work” or alternatively the “Fourth Way.” Gurdjieff himself coined the term “the Work” in 1918, meaning work to be done on oneself, while the “Fourth Way” is meant to contrast with “ways” or spiritual paths centering exclusively on either the intellect, body, or emotions (Moore 1991:3; Ouspensky 1977:48-50). In 1918 in Essentuki in the Caucasus, Gurdjieff established a school that soon became known as the Institute for the Harmonious Development of Man. It reached its final form in 1922 at the Chateau du Prieur é d’Avon at Fontainebleau, France. By mid-1924, Gurdjieff was involved in a near-fatal car accident and from then his Institute at the “Prieur é” gradually dissolved. Later in life Gurdjieff taught more informally, holding group meetings where pupils would converge in his apartments in Paris and New York. Throughout his life Gurdjieff was able to attract and maintain a large body of followers that included talented intellectuals and artists. A number of Gurdjieff-based groups were also formed in Europe and America during Gurdjieff’s lifetime, led by pupils such as P. D. Ouspensky and A. R. Orage. After his death in 1949, the various groups that had been formed splintered and were reordered. (Ouspensky’s death two years earlier had already shaken the organisation of groups; Ouspensky became a particularly successful teacher of Gurdjieff’s ideas ). While many of Gurdjieff’s pupils became members and teachers of a formal network of Gurdjieff groups known as “Foundation” groups, formed by Gurdjieff’s successor Jeanne de Salzmann, other pupils founded, or participated in, groups entirely independent of the Foundation network. More detail is given in the sections below. This section will now give a brief overview of Gurdjieff’s life. G. I. Gurdjieff was born in Alexandropol (present-day Gyumri) in Russian Armenia, near the border of Turkey. There is controversy over his year of birth as a variety of documents show conflicting dates, though the most convincing date looks to be 1866 (Petsche 2011:102; Petsche 2015:40). According to Gurdjieff’s (admittedly unverifiable) autobiographical writings, in his youth he became known as a “master of all trades,” assisting in his father’s workshop. He later moved with his family to Kars in Turkey, where Gurdjieff was a devoted chorister in the Russian Orthodox Cathedral choir (Gurdjieff 2002a:42, 50, 61). Over a period of twenty years (biographer James Moore gives the dates 1887 to 1907), Gurdjieff claims to have travelled widely, seeking out sacred sites through Central Asia and the Middle East in pursuit of esoteric knowledge (Moore 1991:31, 321-323). According to Gurdjieff, the most fruitful period of his journey was in the Islamic regions of Bokhara, Merv, and Samarkand. The Sarmoung Monastery is also presented by Gurdjieff as a focal point of his travels (Gurdjieff 2002a:90-91, 148-164, 227-229), and is popularly considered to be the source of inspiration behind his music, Movements, and nine-sided enneagram symbol (Moore 1991:32). Gurdjieff describes the monastery vaguely as “somewhere in the heart of Asia” (Gurdjieff 2002a:148), and no factual evidence has been found pertaining to its existence (Moore 2005:446). Gurdjieff may have fancifully created the Sarmoung Monastery as an explanation for the source of his key teachings. After his travels, Gurdjieff described settling in Tashkent, the Uzbek capital of Russian Turkistan, where for four or five years he worked as a “professor-instructor” in “pseudo scientific domains” due to a prevailing interest there in “occultism, theosophism and spiritualism” (Gurdjieff 1988:20-22). Moore gives approximate dates of 1907 to 1912 (Moore 1991:323-24). In this period, Gurdjieff may also have visited Russia, drawing together his earliest followers and marrying Polish Julia Osipovna Ostrowska, who was twenty-three years his junior (Beekman Taylor 2008:40-47, 225; Moore 1991:324). In 1913, Gurdjieff arrived in Moscow with the groundwork of his teaching formulated as outlined in “Glimpses of the Truth” (1914), and attracted more pupils. He founded groups in Moscow and St. Petersburg, and by 1916 had secured some key pupils such as journalist and polymath Piotr Demianovich Ouspensky and composer Thomas de Hartmann (Moore 1991:324). Gurdjieff admitted that the turbulent political climate of the time contributed to his success, as it had “shaken people out of their usual grooves … the wealthy and secure of yesterday found themselves the totally destitute of today” (Gurdjieff 2002b:277). Gurdjieff founded an Institute in 1918 in Essentuki in the Caucasus, which later became the “Institute for the Harmonious Development of Man.” The Institute moved to Tiflis then Constantinople, Berlin, and finally, in 1922, to the three-story Chateau du Prieur é d’Avon Fontainebleau near Paris. [See image at right] The “Prieur é” was believed to have been the home of Mme de Maintenon, Louis XIV’s famous mistress, and later a Carmelite Monastery for priors, hence “Prieur é” (Petsche 2015:56). At his Institute, Gurdjieff instructed groups of pupils through methods involving intensive manual and domestic work, dancing, cooking, eating the consumption of alcohol, addressing provocative remarks to pupils, and listening to music and readings. These methods were designed to bring about self-observation among pupils by creating friction and demanding strenuous effort and attention (Zuber 1980:26-27; Ouspensky 1977:348; Gurdjieff 1976b:232). In July 1924, Gurdjieff had a serious car accident and temporarily disbanded his Institute. Work at the Prieur é resumed again gradually, but never regained the intensity of the period from 1922 to 1924. After his car accident, he stopped work on his “Movements” (sacred dances) and began composing piano music with pupil de Hartmann, as well as writing his first book. Over the next decade Gurdjieff delved into writing his four books. The first three form the trilogy All and Everything. [See image at right] The trilogy included his magnum opus, Beelzebub’s Tales to His Grandson, which he commenced in 1924 and continued to amend until his death in 1949 , and two semi-autobiographical narratives, Meetings With Remarkable Men, which he began in 1927 or 1928, and Life is Real Only Then, When ‘I Am’, written between 1933 and 1935. Gurdjieff’s final work was a short tract called The Herald of Coming Good, first published in 1933, representing the only work by Gurdjieff to be published in his lifetime (however, he retracted it the following year and destroyed remaining copies). The work is a medley of autobiography and promotional synopsis of his trilogy, and it contains passages from a program Gurdjieff issued for his Institute in Fontainebleau (Petsche 2015:23-26, 58-60). This Institute operated until 1932. In the 1930s and 1940s, Gurdjieff taught much more informally. In Paris in 1936 and 1937, Gurdjieff taught an all-female and mostly lesbian group called “The Rope.” The name came from Gurdjieff’s explanation that to climb the slopes of consciousness members of the group must be bound together on a corde é or rope. 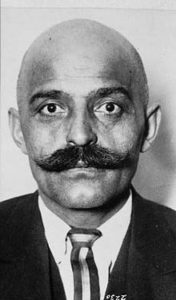 The group had close contact with Gurdjieff, with meetings held in restaurants or at his apartment. From 1940 to his death, Gurdjieff also regularly taught de Salzmann’s Sévres group, which included Pauline de Dampierre, Marthe de Gaigneron, Solange Claustres, Henriette Lannes, and René Daumal. All these members, with the exception of Daumal, who died in 1944, became significant figures in the London and Paris Foundation groups established by de Salzmann after Gurdjieff’s death (Petsche 2015:63). From 1945 to 1949, many English, French, and American pupils visited Gurdjieff’s Paris and New York apartments, which became daily meeting places that involved readings of Beelzebub’s Tales to His Grandson, listening to Gurdjieff improvising on his portable harmonium, and partaking in sumptuous, ritualistic meals. At these meals, each person seated at the table had a particular function and ritual toasting of the different types of “idiots” at the table was carried out. This was meant to provide a mirror in which pupils could see themselves. In Paris on October 14, 1949, days after choreographing his last Movement, Gurdjieff collapsed at a Movements class. On October 29 he died of pancreatic cancer at the American Hospital of Neuilly, after giving final instructions to de Salzmann (Petsche 2015:63-64). Gurdjieff’s teaching drew particularly from Western esoteric, Sufi, and Theosophical discourses, while also employing Hindu, Buddhist, Judeo-Christian, and Islamic ideas. His extensive and rather convoluted teachings on cosmology and cosmogony can be found in Beelzebub’s Tales To His Grandson, particularly Chapter thirty-nine, “The Holy Planet Purgatory.” A much simpler and far less flamboyant version can be found in Ouspensky’s In Search of the Miraculous. However, it is Gurdjieff’s soteriological teachings that will be presented here, as these form the nucleus, and explain the ultimate goal, of Gurdjieff’s work. Gurdjieff taught that modern-day human beings are like dysfunctional machines that operate habitually and are composed of three disparate parts or “centres” (intellectual, emotional and physical) that are in constant disarray (Ouspensky 1977:53-54). In this way, life is lived in a fragmented and mechanical state where the core self or “essence” is largely lost. Life is, instead, carried out through the false “personality,” a protective, illusory mask that compensates for this lack of “essence.” This condition characterises the two lowest (of four) “states of consciousness” in which most people carry out their lives; the first is literal sleep at night and the second is the sleep-like condition in which one lives (Ouspensky 1977:142-43). Gurdjieff’s teaching aimed to harmonise these uncoordinated “centres,” elevating people from the lowest states of consciousness to higher states of consciousness where people become “awake” and “conscious.” The third state of consciousness involves “self-remembering,” meaning remembering to be aware of one’s own habitual reactions and behaviours in the present moment. This is achieved by “dividing attention” so that one is simultaneously aware of the observing self as well as the situation, thought, or emotion experienced (Ouspensky 1977:118-20, 179). Gurdjieff taught that the faculty of “attention” is key to self-remembering, and must be cultivated so that it does not become distracted or “identified” with external things (Ouspensky 1977:110). Gurdjieff aimed to cultivate pupils’ attention and provoke them to self-remember, as well as to observe and re-educate the mechanical behaviours of ones centres (Gurdjieff 1976b:156). the real purpose of the Work in Essentuki could become clear only if a man gave his attention to the idea of the crystallization of the soul. The products of food, both coarse food and air, are necessary; but without impressions, the great achievement, the crystallization cannot take place. In this effort a man can rarely succeed by himself … Material of a special quality received from impressions has to exist in the pupil if the teacher is to help this transformation to take place. To build up a sufficient quantity of this material, which the pupil had to collect by his own efforts, some kind of isolated ‘reservoirs’ are necessary, where special conditions permit this material to be deposited (de Hartmann and de Hartmann 1992:69). In his early teaching these subtle bodies were called the astral, mental, and causal bodies, and their formation correlated withone’s accessing of two “higher centres” (Ouspensky 1977:41, 180, 197, 282). In talks published in Views From the Real World , Gurdjieff also referred to three subtle bodies, but now the astral body was also termed the soul, and the third body was the “real I” (Gurdjieff 1976b:201-06, 214-15). In Beelzebub’s Tales To His Grandson, he presented only two “higher being-bodies,” the body-Kesdjan or astral body, and the higher being-body or soul. These higher being-bodies are cultivated within, and “coat,” the “planetary” body. Later they separate from it, but only the higher being-body has the possibility of becoming immortal (Gurdjieff 1964:673-74, 763-68). In Gurdjieff’s system, when one manifests subtle bodies, one has attained the fourth and highest state of consciousness, the ‘objective’ state of consciousness. In the objective state of consciousness, one gains “knowledge of things in themselves” and can “see and feel the unity of everything” (Ouspensky 1977:278-79). In this condition, the ego shatters, which means, in Gurdjieff’s terms, one is stripped of personality and one’s essence or real I is revealed (Gurdjieff 1981:107). Gurdjieff’s teaching methods aimed to elevate individuals from the second to the third state of consciousness, the latter known as self-remembering. Working to self-remember might allow practitioners to observe and correct their fragmented and mechanical conditions. In Gurdjieff’s system, this led practitioners, by way of an inner alchemical process, to attain the fourth state of consciousness and to develop subtle bodies. Members of the more formal network of Gurdjieff groups known as Foundation groups (see next section for more detail) usually attend weekly group meetings, which have a question and answer structure, as well as special weekends and retreats, where small teams carry out physical labour and various tasks under the guidance of teachers. Group meetings involve readings, usually based on Ouspensky’s In Search of the Miraculous (1949), and discussions of key themes follow. Ricardo Guillon, member of the Paris Institut G. I. Gurdjieff under Michel Conge, states that readings of Ouspensky’s text prepared for group exchanges, and he interprets its original title, Fragments of an Unknown Teaching , to mean that the book is incomplete; what is missing is the contribution of each person (Guillon 2004:79). Independent Gurdjieff groups are more likely to read Beelzebub’s Tales, which was a focal point for group work during Gurdjieff’s lifetime (Kherdian 1998:107; Ravindra 2004:46; Guillon 2004:79). Special exercises [See image at right] are given to members of Foundation groups, and these are guarded with secrecy. They essentially involve cultivating attention, observing and sensing parts of the body, distinguishing between sensing and feeling, entering into the position of another person, and trying to do the opposite of what one normally does. Some of these exercises come directly from Gurdjieff and can be found in varying degrees of detail in published transcriptions of Gurdjieff’s talks (see Gurdjieff 1981:113-16; Gurdjieff 1976b:146-47, 161, 244-45; Gurdjieff 2008:141-42). Joseph Azize published a uniquely comprehensive academic study of one of Gurdjieff’s contemplative exercises, known as “The Four Ideals” (Azize 2013a). Seymour Ginsburg, who joined Gurdjieff groups associated with the Foundation from 1978 to 1990, before leading an independent group in south Florida, also outlines a number of exercises and lessons in Gurdjieff Unveiled. Ginsburg states that exercises given in Foundation groups are of three categories: principal exercises that are to be practiced regularly, reminding or “stop” exercises that require individuals to stop at certain moments in the day, such as every time one walks through a doorway, and psychological exercises, where practitioners observe “identifications” in themselves, such as negative emotions. Ginsburg explains that at the end of group meetings, members are given an exercise for the upcoming week (Ginsburg 2005:27, 40, 77-78). From the 1960s, de Salzmann introduced to Foundation groups the practice of sittings, where pupils sit in silence, cultivating sensations in the body (Needleman and Baker 2005:452). Pupils are guided throughout the sitting, being instructed to bring awareness to the body, the breathing and stillness (Segal 2003:200-01). David Kherdian reports of sittings at the New York Foundation, “The important thing was to drop our thoughts and really be in our bodies. Relaxing occurred through sensing … we were encouraged to be in our centers … The sittings lasted forty-five minutes” (Kherdian 1998:60-61). According to Ginsburg, during sittings one must close the eyes, sit comfortably, and avoid visualising anything. In the ensuing quietness one may experience, in Gurdjieffian terms, “objective consciousness” and the “real world” (Ginsburg 2005:56-57; see also Ravindra 2004:50, 77, 91; Segal 2003:198-201). Gurdjieff himself never gave sittings, though in his last years he did suggest to some pupils and small groups practicing forms of individual sitting, meditation or “centering” (Howarth and Howarth 2009:473). One of the major practises carried out by both Foundation and Independent Gurdjieff-based groups is that of “Movements.” Gurdjieff’s Movements, which he choreographed and taught from 1917 to 1924 and from 1940 to 1949, are dances and exercises characterised by symbolic body gestures, often placed in unpredictable sequences. They are intended to challenge the body’s mechanical nature and facilitate self-remembering. The Movements continue to be taught today in a process of choreographic transmission. Most groups rarely stage public performances, and the more “orthodox” Foundation groups guard the Movements scrupulously; teaching long-term members only fragments to ensure that knowledge of the Movements is kept inside these groups (Petsche 2013:100, 102). The only officially released footage of Gurdjieff’s Movements appears between 1.29.28 and 1.38.24 minutes of Peter Brook’scinematic adaptation of Gurdjieff’s Meetings With Remarkable Men (1979) (see Cusack 2011). Brook depicts six Movements performed by members of the Foundation network. However, these performances, overseen by de Salzmann, are brief and deliberately executed with slight alterations (Azize 2012:321). The fact that Movements footage is available on YouTube demonstrates that Foundation groups have not successfully concealed the Movements from exposure to the public. Many of these clips depict Movements performances given at ashrams devoted to Indian mystic “Osho” or Acharya Rajneesh, who admired Gurdjieff (Storr 1997:47). These generally inaccurate performances are considered disrespectful by members of Foundation groups. After the Second World War, Jeanne de Salzmann was Gurdjieff’s longest-surviving pupil, and was accepted as his successor after his death (Moore 1991: 268). She organised the different Gurdjieff-based groups scattered throughout the world into a network of ‘Foundation’ groups, establishing core groups in Paris, New York, and London. These core groups are regarded as the centres of the network because of the relatively large concentration of first-generation pupils of Gurdjieff in these cities. Many other Foundation groups branched out from these, and can be found in most major cities in the West. While some of these groups classify themselves as Societies and others Institutes, they all belong to de Salzmann’s network, and can all simply be referred to as Foundation groups. In 2005 it was estimated that there were approximately 10,000 members in the network worldwide (Needleman and Baker 2005: 453). While de Salzmann headed the entire organisation until her death in 1990, three other figures had great influence: Henriette Lannes, Henri Tracol, and Maurice Desselle (Azize 2013b). Not all of Gurdjieff’s followers merged into this network; an array of Gurdjieff-based groups remain outside of it. These can be considered “independent” groups. Where some of these groups are continuations of groups founded during Gurdjieff’s lifetime by Gurdjieff’s pupils (such as P.D. Ouspensky, Maurice Nicoll, and J.G. Bennett), new groups were also established by pupils of Gurdjieff or Ouspensky (such as Frank and Olgivana Lloyd Wright, George and Helen Adie, and Rodney Collin). Many still continue today. There are also an increasing number of “fringe” groups, all committed in some way to Gurdjieff’s teaching, but founded by individuals who never met Gurdjieff. Significant “fringe” group founders include Leon MacLaren, Oscar Ichazo, Claudio Naranjo, Robert Burton, Bhagwan Shree Rajneesh (“Osho”), Paul Henry Beidler, Raymond John Schertenleib, and E.J. Gold (Petsche 2014:348). Fringe groups tend to have a more flexible approach to Gurdjieff’s teaching, absorbing and integrating Gurdjieffian principles into new religio-spiritual systems. For example, Leon MacLaren’s School of Economic Science, established in London in 1937, combined Transcendental Meditation techniques and Advaita Vedanta philosophy with the ideas of Ouspensky and Gurdjieff. Robert Burton’s Fellowship of Friends, founded in California in 1970, uses playing cards to represent Gurdjieff’s teachings on the “centres” of the human being (Petsche 2014:348; Petsche 2013a:67-72). Today, the network of Foundation groups faces two main challenges. First, there is the challenge of continuing to preserve and protect Gurdjieff’s work (particularly his Movements) from public exposure, misinterpretation and misuse. This objective is prominent in esoteric or initiatory circles, which aim to preserve sacred teachings and materials, guarding them from outsiders with no experience of the system. The idea is that by passing on esoteric teaching and materials through experiential and initiatory channels, they will reach members directly and in the suitable context and correct time. Esoteric teachings are traditionally thought to be powerful, even potentially dangerous if exposed to the wrong people under the wrong circumstances. This was a view taken by Gurdjieff pupil Jessmin Howarth, who stated that to practice Movements that Gurdjieff did not authorise was “stupidly arrogant and ill-advised, if not downright perilous, considering that delicate, mysterious balances we are dealing with … To second guess Mr Gurdjieff’s intention is a dangerous precedent” (Howarth and Howarth 2009:470). However, in regard to the Movements, as discussed above, a long line of (mostly inaccurate) clips of Gurdjieff’s Movements can now be found on Youtube, indicating that the Foundation groups have not successfully concealed the Movements from “outsiders.” A similar issue for Foundation groups surrounds the Gurdjieff/de Hartmann piano music, composed by Gurdjieff and his pupil Thomas de Hartmann, mostly between 1925 and 1927. Orthodox Foundation members react negatively towards recordings of this music (which have been made mostly by outsiders), arguing that these recordings allow listeners to hear the music outside of the “Work” environment, which devalues the music and neglects Gurdjieff’s intentions for it. This reticence appears to stem from an interpretation of Gurdjieff’s cosmological notion of “inner octaves” as relating to the harmonic series in music. If it is believed that the piano music is informed by the subtle laws of Gurdjieff’s inner octaves, then recordings must be deemed all the more degrading, as subtleties of harmonics and the finer substances they can channel would be lost in the process of recording (Petsche 2015:151-53). Another concern for Work members regarding recordings of the Gurdjieff/de Hartmann piano music is that they lead to “mechanical listening” (Gurdjieff aimed to break people out of their “mechanical” conditions), as the listener knows what is coming in the music. Recordings also promote listening to many pieces consecutively, where in the context of a Foundation group only a small number of pieces are played so that listeners can remain attentive. The second challenge for Foundation groups is simply that of attracting new members and surviving as a community. With extremely minimal online presence and a tradition of no advertising or promotion, Foundation groups are presumably dwindling in numbers. The future of the Gurdjieffian community may ultimately lie in the more adaptable Independent groups, like those formed by maverick Gurdjieff pupil J. G. Bennett, as well as the many fringe groups that have now emerged, all of which are incorporating new religio-spiritual systems into Gurdjieff’s teaching. It is likely that these groups will continue to sprout more and more branches, so that the Gurdjieffian genealogical tree carries on expanding into new and unorthodox territory. Image #1: Image is photograph of movement founder George Ivanovitch Gurdjeff. Image #2: Image is a photograph of the Institute for the Harmonious Development of Man in its final location at the three-story Chateau du Prieur é d’Avon Fontainebleau near Paris. Image #3: Image is a photograph of the cover of Gurdjieff’s seminal work, the trilogy All and Everything. Image #4:Imageis a photograph of exercises developed by Gurdjieff that are a key element of Gurdjieff ritual practice. Azize, Joseph. 2013a. “The Four Ideals: A Contemplative Exercise by Gurdjieff.” Aries 13:173-203. Azize, Joseph. 2013b. Personal Communication. 18 February. Azize, Joseph. 2012. “Gurdjieff’s Sacred Dances and Movements.” Pp. 297-330 in Handbook of New Religions and Cultural Production, edited by Carole M. Cusack and Alex Norman. Leiden and Boston: Brill. Beekman Taylor, Paul. 2008. G. I. Gurdjieff: A New Life. Utrecht, the Netherlands: Eureka Editions. Blom, Gert-Jan. 2004. Harmonic Development: The Complete Harmonium Recordings 1948-1949. The Netherlands: Basta Audio Visuals. Cusack, Carole M. 2011. “An Enlightened Life in Text and Image: G. I. Gurdjieff’s Meetings With Remarkable Men (1963) and Peter Brook’s ‘Meetings With Remarkable Men’ (1979),”Literature & Aesthetics 21:72-97.
de Hartmann, Thomas and Olga de Hartmann. 1992. Our Life with Mr. Gurdjieff. Trans and eds T. C. Daly and T. A. G. Daly. London: Arkana Penguin Books. Ginsburg, Seymour B. 2005. Gurdjieff Unveiled: An Overview and Introduction to the Teaching. London: Lighthouse Workbooks. Guillon, Ricardo. 2004. Record of a Search: Working with Michel Conge in France. Toronto: Traditional Studies Press. Gurdjieff, G. I. 2008. Transcripts of Gurdjieff’s Meetings 1941-1946. London: Book Studio. Gurdjieff, G. I. 2002a. Meetings With Remarkable Men. New York: Penguin Compass. Gurdjieff, G. I. 2002b. “The Material Question.” Pp. 247-303 in Meetings With Remarkable Men. New York: Penguin Compass. Gurdjieff, G. I. 1988. The Herald of Coming Good. Edmonds, Washington: Sure Fire Press. Gurdjieff, G. I. 1981. Life is Real Only Then, When ‘I Am.’ New York: E. P. Dutton. Gurdjieff, G. I. 1976a . “Glimpses of the Truth.” Pp. 3-37 in Views From the Real World. London: Routledge and Kegan Paul. Gurdjieff, G. I. 1976b. Views From the Real World. London: Routledge and Kegan Paul. Gurdjieff, G. I. 1964 . All and Everything First Series: Beelzebub’s Tales to His Grandson. New York: E. P. Dutton and Co.
Howarth, Dushka and Jessmin Howarth. 2009. It’s Up To Ourselves: A Mother, A Daughter, and Gurdjieff. New York: Gurdjieff Heritage Society. Kherdian, David. 1998. On a Spaceship With Beelzebub: By a Grandson of Gurdjieff. Rochester, Vermont: Inner Traditions. Moore, James. 2005. “Gurdjieff, George Ivaonivitch.” Pp 445-50 in Dictionary of Gnosis and Western Esotericism, Vol. 1, edited by Wouter J. Hanegraaff, Antoine Faivre, Roelof van den Broek, and Jean-Pierre Brach. Leiden and Boston: Brill. Moore, James. 1991. Gurdjieff The Anatomy of a Myth A Biography. Shaftsbury, Dorset: Element. Needleman, Jacob and George Baker. 2005. “Gurdjieff Tradition.” Pp. 450-54 in Dictionary of Gnosis and Western Esotericism, Vol. 1, edited by Wouter J. Hanegraaff, Antoine Faivre, Roelof van den Broek, and Jean-Pierre Brach. Leiden and Boston: Brill. Ouspensky, P. D. 1977 . In Search of the Miraculous: The Teachings of G. I. Gurdjieff. San Diego, California: Harcourt Inc.
Petsche, Johanna. 2015. Gurdjieff and Music. Leiden: Brill. Petsche, Johanna. 2014. “The Value of E. J. Gold: Unearthing the Real Mr. G.” Journal for the Academic Study of Religion 27:346-66. Petsche, Johanna. 2013. “Gurdjieff and de Hartmann’s Music for Movements.” Alternative Spirituality and Religion Review 4:92-121. Petsche, Johanna. 2011. “Gurdjieff and Blavatsky: Western Esoteric Teachers in Parallel.” Literature & Aesthetics 21:98-115. Ravindra, Ravi. 2004. Heart Without Measure: Gurdjieff Work With Madame de Salzmann. Sandpoint, ID: Morning Light Press. Segal, William. 2003. A Voice at the Borders of Silence. Woodstock, NY: Overlook Press. Storr, Anthony. 1997. Feet of Clay: A Study of Gurus. London: Harper Collins. Zuber, René. 1980. Who are You Monsieur Gurdjieff? London and New York: Penguin Arkana.